Last year, I predicted that 2012 would be a big year for gamification consulting. This trend seems to be in full swing with consulting heavyweight Capgemini's recent announcement that they will join with gamification software provider Badgeville to accelerate large scale enterprise transformation. "The bringing together of Badgeville's gamification expertise with our track record in large-scale strategic transformation is very exciting. Large and complex digitally enabled business transformations are often dependent on a significant cultural and behavioral shift, and the use of smartly-applied game mechanics as part of a behavioral change program can tackle that need in an innovative, engaging and meaningful way. Today's announcement also demonstrates Capgemini Consulting's commitment to innovation and our leadership in Digital Transformation." In the press release, Capgemini sites studies with the MIT Center for Digital Business as a motivating factor for this partnership. According to their studies, companies on the leading edge of digital transformations invest significantly in the soft side these efforts. Gamification offers a creative and innovative way to foster collaboration around strategic priorities. Another unstated factor that may have been at play is the growing feeling that most gamification projects are poorly designed and would fail to meet their business objectives. Just last week, Gartner predicted that 80% of current gamified applications would fail by 2014 due to this reason. 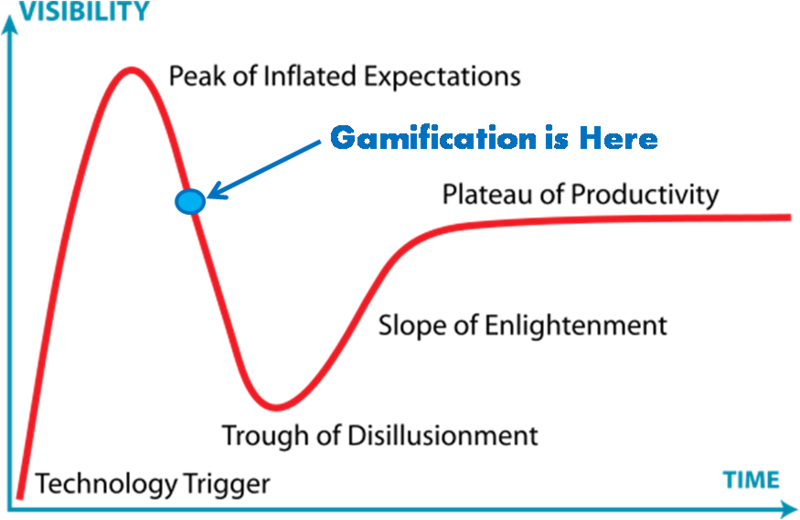 Gartner stated that "Gamification is being driven by novelty and hype." Thus, on Gartner's hype cycle, I'd place the industry somewhere on the peak of inflated expectations but sliding into the trough of disillusionment. This point is where seasoned consultants like Capgemini can help speed the gamification industry's transition to providing true productivity gains. Capgemini and other consultants can bring focus to "the more subtle and more important game design elements, such as balancing competition and collaboration, or defining a meaningful game economy" that Gartner finds missing from poorly designed gamification initiatives. 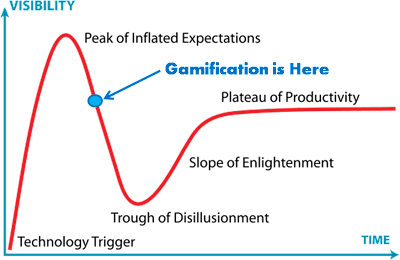 The Gartner report combine with the Capgemini announcement indicate that the gamification industry is maturing but still isn't out of its awkward growth stage. In The Discipline of Market Leaders, authors Frederik Wiersema and Michael Treacy argued that market leaders succeed by narrowing their business focus, not by broadening it. Specifically, companies gain by concentrating on one of three value disciplines--operational excellence, customer intimacy, or product leadership--and aligning their operations behind their chosen discipline. For example, by focusing on logistics, companies like Walmart become market leaders on price. By focusing on R&D, companies like Apple become product leaders. Finally, companies like Disney become leaders in customer experience by focusing on customer intimacy. One of my favorite presentations from the Warm Gun design conference this year was made by Kevin Hale, one of the founders of Wufoo, on how they used customer intimacy as the organizing principle for their company. According to Hale, Wufoo decided from the start to build their company around the discipline of customer intimacy. 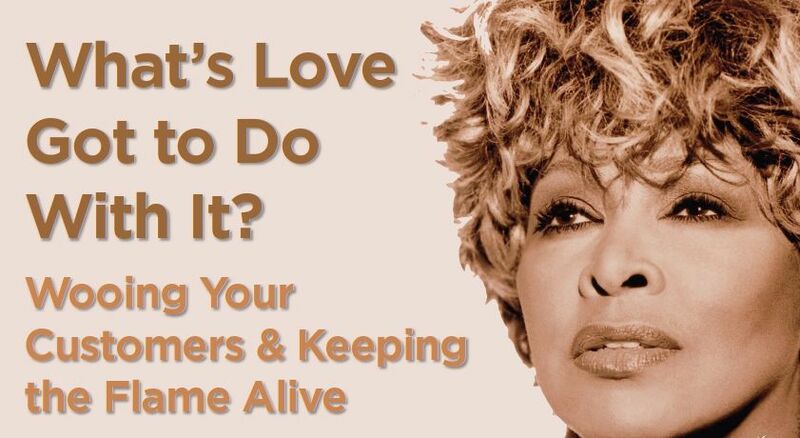 They became fanatical about creating meaningful relationships with their users and in particular building those relationships by eliciting positive emotions, not by just appealing to rational ideas. This interest lead them to the science of creating and building long-term relationships and to applying dating research to new users and marriage research to existing users. Wufoo is an freemium online form builder that was acquired by Survey Money in 2011 for $35.0M. This acquisition netted Wufoo investors a 29,561% return on their investment of $116K. At Warm Gun, Hale described of the secret to their success.